Sometimes my crafting inspiration comes quite literally from the world around me, and as I spend most of my time at my desk, that can sometimes be simply how a ribbon of one colour is draped across a product of another colour, or as basic as my inks stacked in the ink caddy. And this card is the result of that! I wanted to use a trio of blues, so I selected Coastal Cabana, Bermuda Bay and Island Indigo (how very tropical they all sound!) and decided that they needed the depth of the Basic Grey to allow them to really ‘POW’ at us! So my super dooper simple card is made up of a card blank of Basic Grey with a layer of Whisper White and then a further layer of Basic Grey. I did wrap Bermuda Bay Taffeta Ribbon around the two top layers and lift it up on dimensionals, but it’s a fairly simple build. Then I simply punched 3 each of the colours using the Itty Bitty Shapes punch pack, popped on the tiniest of our Basics Pearls and set them sort of meandering across the card, with some more pearls to accentuate them. 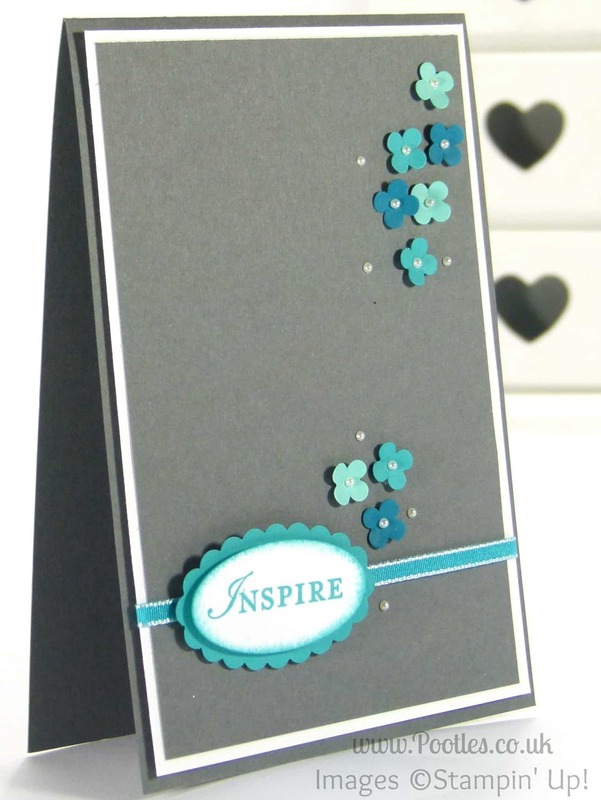 I stamped Inspire from the Loving Thoughts stamp set in Bermuda Bay ink, punched it using the Large Oval Punch and sponged the edges, then set that up on a punch of Bermuda Bay cardstock using the Scallop Oval Punch. It was possibly one of the fastest cards I’ve made in a while, and I really love the impact I get from it! 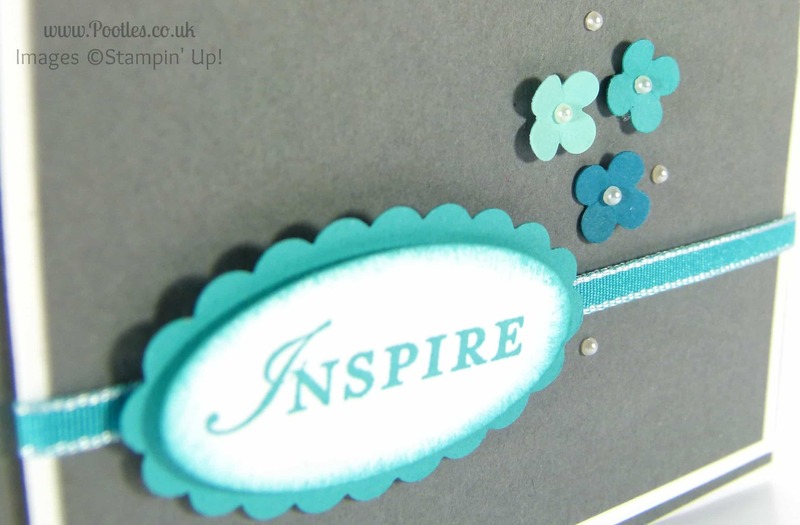 I’d love to know where you get your inspiration from! « The Extra Large Paper Bag Tutorial!